We use light boxes to really pack "PUNCH" into a retail environment. 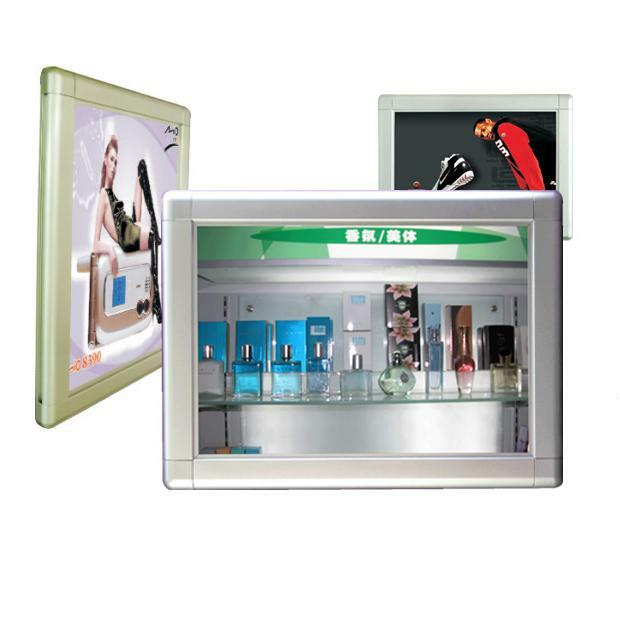 These fluorescent retail displays provide a clear picture of the life style or theme of your store, booth, business etc. The use of a light box display allows photos and written copy to be joined together to tell a story in a way that would never be possible with your average merchandise presentation. Light boxes work best with color transparencies generated either in-house, by a generic photo library or by one of your vendors. Regardless of the application, TRIO has the perfect light box for all of your display needs. Can't find the size you need? 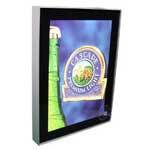 All of our light boxes can be custom made to your specifications! Please call one of our customer service representatives at 1-800-454-4844 to discuss your project and get a free quote. Classic Series Light Boxes – Our Classic Series of backlit displays are built with an aluminum frame and come in both standard and custom sizes. At home both indoors and out, these boxes never fail to provide an attractive, eye-catching display solution. 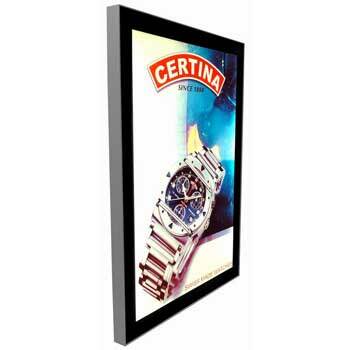 Ultra Thin Light Boxes –The Ultra Thin series light boxes feature advanced technology replacing the use of standard fluorescent tubes at the back of the box to illuminate an image. This technology has allowed us to reduce the overall depth and weight of the light box providing you a sleeker more modern image displayer at a economical price. 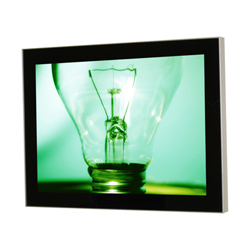 Frameless Light Boxes – Unlike other light boxes, which use a "framed" design for graphic changes and bulb replacement, these technologically advanced backlit displays make use of a magnetic access system which is both easy to use and ADA compliant. The lack of a frame also creates a truly “seamless” look that adds an extra dimension of elegance to these displays. Appropriate for both indoor and outdoor applications, these light boxes are perfect for anyone in need of a display that is versatile, visually stunning and user-friendly. Double-Sided Light Boxes – This is the "two-way" version of our frameless light box with the same features, same beautiful results and twice the display area! 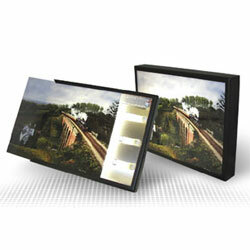 This unique system adds only a quarter of an inch to the thickness of a single-sided frameless box, creating a slim, visually appealing double-sided display.